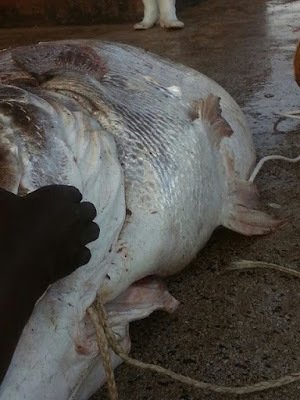 There is an ongoing heated debate online concerning the "outrageous" price of a massive fish was which was caught by fishermen recently at Ggaba Landing site in Uganda. 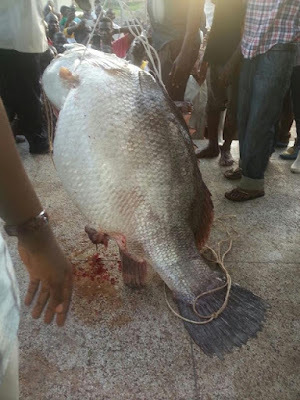 According to a report, the fish which weighed 205Kgs was sold at Shs4.2 million (over $1200 i.e nearly N500,000). 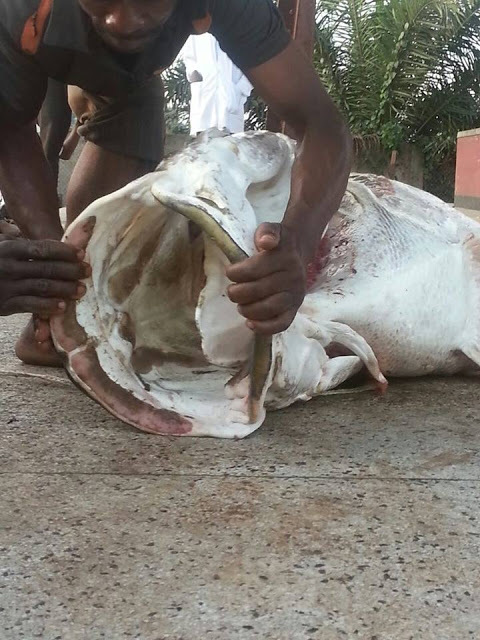 But the price tag did not go down well with online users who are currently debating on the trending photos -with most saying the price should be Shs2.4 million (which is nearly $700 i.e N300,000). Whatever the actual price is, it still costs more than the new iPhone 7 which costs nearly $700.